Need to print more than one document? Case Notebook™ provides a batch print function that allows you to quickly print multiple documents. 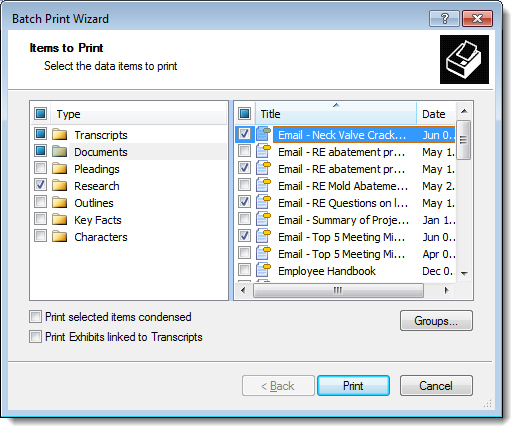 To print multiple documents, on the File menu, click Batch Print to display the Batch Print Wizard. Select the documents you want to print and click Print.